Definition (FMA) Organ component of neuraxis that has as its parts the medullary reticular formation, inferior olivary complex and cochlear nuclear complex, among other structures. Examples: There is only one medulla oblongata. Definition (NCI) The lower portion of the brainstem located between the pons and brainstem. 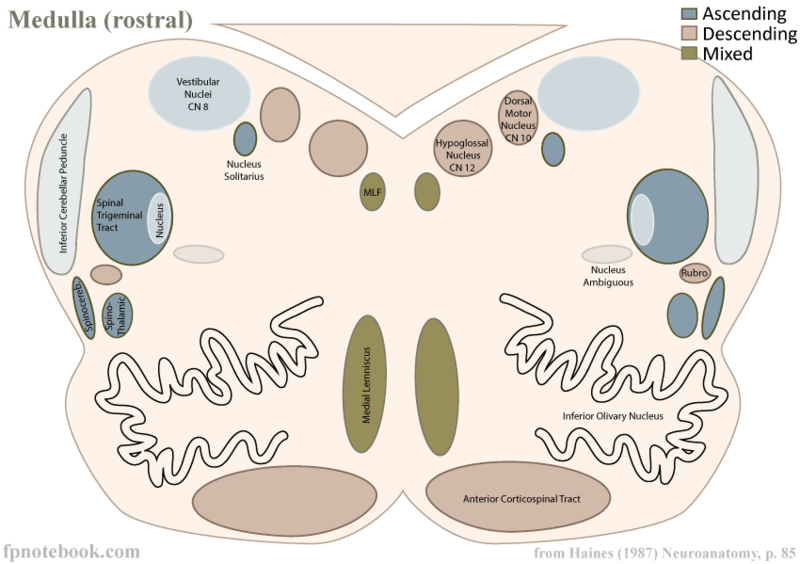 This structure contains several descending and ascending tracts, lower cranial nerve nuclei, a significant proportion of the reticular system of the brainstem and other structures. 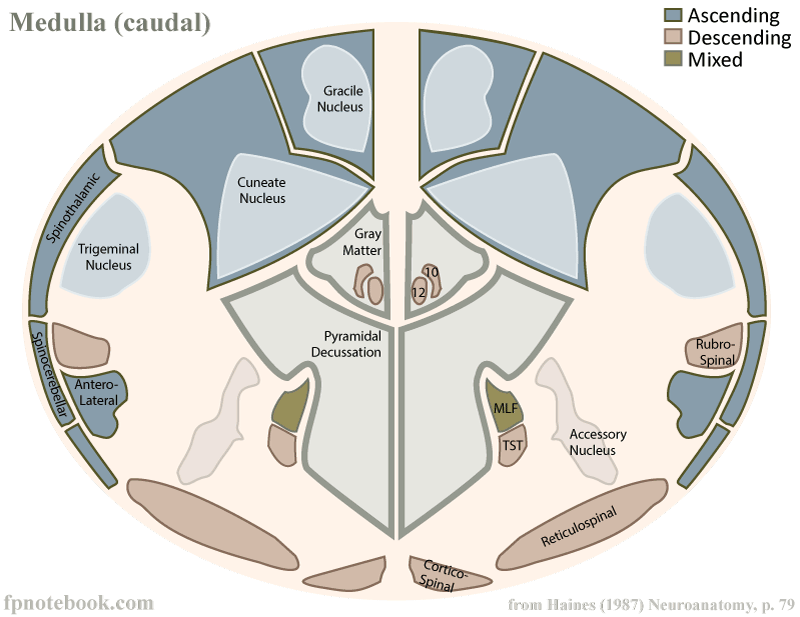 Definition (CSP) caudal subdivision of the hindbrain interposed between the spinal cord and the pons; adult derivative of the myelencephalon, the most caudal subdivision of the developing brain; it has two subdivisions the open medulla bordering on the fourth ventricle and the closed medulla which surrounds the rostral part of the central canal. Definition (MSH) The lower portion of the BRAIN STEM. It is inferior to the PONS and anterior to the CEREBELLUM. Medulla oblongata serves as a relay station between the brain and the spinal cord, and contains centers for regulating respiratory, vasomotor, cardiac, and reflex activities.